A long long time ago, there was a king named King Xerxes. King Xerxes’ kingdom covered 127 provinces from India to Ethiopia. One day, King Xerxes held a big party at the beautiful palace garden. King Xerxes was a very generous king. He invited everyone to the party. While King Xerxes was giving a party to the men, Queen Vashti also gives a party and invited all the women in the city to be present in the party. King Xerxes wanted everyone to see how beautiful Queen Vashti is. He sent his servant to tell Queen Vashti to wear her crown and come to him to show the people her beauty. The servant went to Queen Vashti and informs her to come to the king quickly but Queen Vashti ignored King Xerxes’ command and refused to come to him. This had humiliated King Xerxes. King Xerxes’ advisor advised him to divorce Queen Vashti. King Xerxes listened to the advice of his advisors and he divorced Queen Vashti. After a while, King Xerxes was calmed down and not angry anymore about what Queen Vashti had done but he still keep thinking of it and the law that was issued because of her. At that time, there was a Jew called Mordecai who lives the city of Susa. Mordecai had a very beautiful cousin called Esther. Esther’s Hebrew name is Hadassah. When King Xerxes orders that all beautiful women be brought to the king’s palace, Esther was brought along with them too. Since the first day, Esther has become Hegai’s favorite. This causes Hegai to begin Esther’s beauty treatment immediately. The first 6 months, olive oil and myrrh were rubbed on the young women’s skin; and then in the final 6 months, the young women were treated with perfumes and cosmetics. Esther’s turn to go to King Xerxes came during the seventh year of King Xerxes’ reign. Esther pleased King Xerxes more than any of the other young woman, This made King Xerxes fell in love with Esther immediately and he married her. Mordecai worked as a palace official for King Xerxes. Mordecai warned Esther not tell anyone that she is a Jew; and she obeyed him. Bigthana and Teresh were two King Xerxes’ guards. They got angry with King Xerxes and plotted to kill him. Mordecai found out about it and reported it to King Xerxes. King Xerxes then hanged the two men. King Xerxes had all these written down in his record book. After this, King Xerxes promoted Haman to the highest palace official. All the palace officials are ordered to bow down to Haman in order to honor him. Mordecai refused to obey the command and he didn’t bow down to Haman. They advised Mordecai to bow down to Haman but Mordecai won’t listen to them. So they reported it to Haman. When Haman found out that Mordecai is a Jew, he decided to kill every Jew in the city. Haman had the secretaries to write the letter concerning the law and then have them send to every province. The letter is written in the king’s name and sealed with the king’s ring. When Mordecai heard about the news, he got very sad. He tore his clothes and wear sackcloth instead. When Esther’s servants told Esther what Mordecai is doing, Queen Esther sent her servant to ask Mordecai why he is felling so sad. Mordecai told the servant everything about it as well as the amount of money that Haman promised to add to the treasury if the Jews are killed. Mordecai listened to Esther and did everything she told him to do. 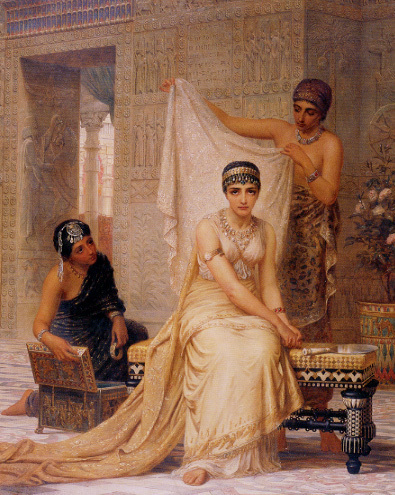 After three days, Queen Esther went to King Xerxes in her royal robe. When Queen Esther comes in, she touch the edge of the scepter. The king and Haman went to Queen Esther’s dinner again the next day. Haman was terrified when he look at Queen Esther and King Xerxes eyes, King Xerxes is so angry, he rose up from his seat and went into the palace gardens. When King Xerxes came in, Haman was kneeling on the floor beside Queen Esther who is lying down on a couch. King Xerxes said, “Hang Haman from the 75 feet tower that he had built!” Immediately, Haman was hanged from his own tower. King Xerxes gave Queen Esther all the possessions of Haman. Queen Esther told King Xerxes that Mordecai is her cousin so King Xerxes promoted Mordecai to the highest palace official. Queen Esther then put Mordecai in charged over Haman’s possessions. On the 23rd of Sivan, the third month, the king secretaries wrote the law and distribute it among the Jews, and the governors of 127 provinces from India to Ethiopia. The law gave the Jews permission to kill the people who want to take their lives on the 13th of Adar, the twelfth month. On the 13th of Adar, the Jews took their swords and kill all their enemies. Five hundred people were killed that day; Haman’s ten sons were also among the ones killed. King Xerxes have the bodies of the sons of Haman hung in Susa at the request of Queen Esther. King Xerxes approved Queen Esther’s request. On the 14th of Adar, the Jews kill another 300 more of their enemies then they held a big feast. That is why the Jews celebrate on the 14th of the month. The celebration is called Purim. Purim is a day for the Jews to feast and exchange food with each other.